Could you provide more information about this 2011 Harley-Davidson Street Glide? 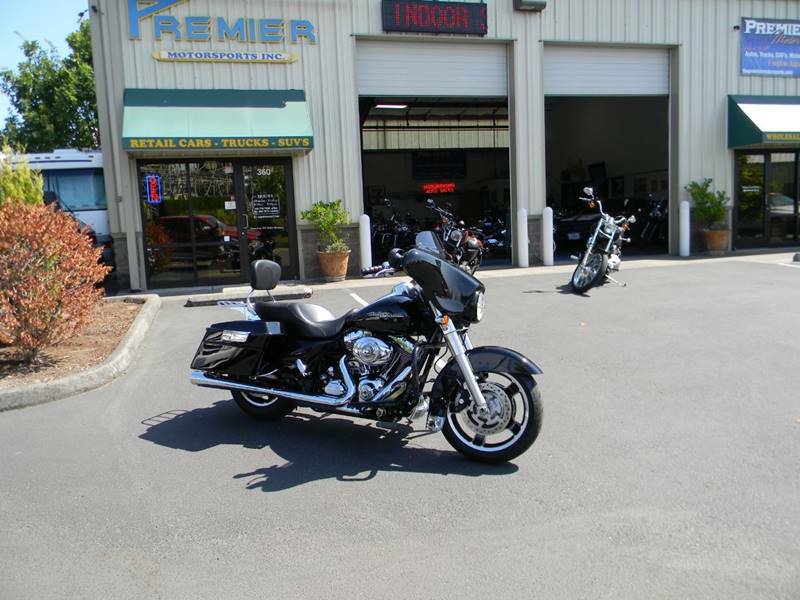 Premier Motorsports has for you a local Washington 2011 Harley Davidson Street Glide FLHX in Vivid Black with a 103ci motor and only 21,419 miles that is ready to RIDE! This Street Glide is in Great condition and has some Awesome sounding pipes that make this a perfect Harley for cruising or touring no matter where you want to go! All of our bikes have been Safety Serviced for your Protection and has a CLEAN WASHINGTON TITLE for your Peace of Mind so call us today at 360-718-7598 to set your APPOINTMENT to See, Ride, and Buy this Street Glide before it is gone! "Premier Vehicles...Value Priced" is just the beginning of Premier Motorsports attitude and commitment to you as a valued customer. Come see us today right on 78th Street and St John's Rd in the east end of the Padden Industrial Park next to the Doggie Daycare! What is the price of the 2011 Harley-Davidson Street Glide you have in your inventory? What is the mileage of the 2011 Harley-Davidson Street Glide you have in your inventory? I was wondering if this 2011 Harley-Davidson Street Glide is still available?